Tony Evers. Photo from Tony for Wisconsin. It apparently does take a village to do some things — advise the first new Democratic governor in 16 years, for example. As he prepares to become Wisconsin’s chief executive on Jan. 7, Governor-Elect Tony Evers has named more than 100 members of his senior transition team and advisory councils on economic development, health care, the environment and agriculture, and criminal justice. If he taps another 30 or so officials to counsel him on transportation issues – another critical budget issue and a likely flash point with Republicans who control the Legislature – the number of Evers advisers will be bigger than some Wisconsin villages. That’s a lot of advice for Evers, the state’s superintendent of public instruction, to take in. Consider the 30-member Public Safety and Criminal Justice Reform Policy Advisory Council that Evers and Lt. Governor-Elect Mandela Barnes announced one week ago. It includes two former Supreme Court Justice (Janine Geske and Louis Butler), three former Department of Corrections secretaries (Rick Raemisch, Matt Frank and Walter Dickey), four judges, two sheriffs, leaders of Milwaukee’s African-American community, controversial defense attorney Dean Strang (of Making of a Murderer fame) and State Public Defender Kelli Thompson, daughter of former Republican Gov. Tommy G. Thompson. Who’s not on it: Former Corrections Secretary Ed Wall, a one-time Walker appointee who was asked to resign, self-published a book critical of Walker and GOP Attorney General Brad Schimel, and appeared in Evers campaign ads. Those advisers have important charges: Figure out how to replace the two juvenile prisons with regional county-run facilities, and how to pay for them. Expand programs that offer inmates more rehabilitation and counseling. Determine whether two prisons built in the 1800s should be upgraded or replaced with a new prison. Reforming the criminal justice system so Wisconsin no longer leads the nation in putting African-Americans in prison. Can a 30-member group of current and former public officials, and advocates who want the state’s prison population cut in half, agree on how to do that? The Health Policy Advisory Council that Evers named has only 12 members, but has its own huge charge. “Expanding access to affordable health care for Wisconsin is a top priority for our administration,” Evers said when he named that panel. It includes Dr. Veronica Gunn, CEO of Genesis Consulting; former state Health and Human Services Secretary Karen Timberlake; Dr. Dipesh Navsaria, of UW Health; Nurses and Health Professionals union leader Candice Owley; Planned Parenthood official Tanya Atkinson; Tim Size, of the Rural Wisconsin Health Cooperative, and advocates for the mentally ill and disabled. Who isn’t on that council: Officials from major Wisconsin health care systems like Anthem, Humana, Gundersen, Mayo, SSM Health, UnitedHealth Care and WPS. When Evers announced a 30-member advisory council on economic development, Republicans said it was “packed” with members from Milwaukee and Dane counties. 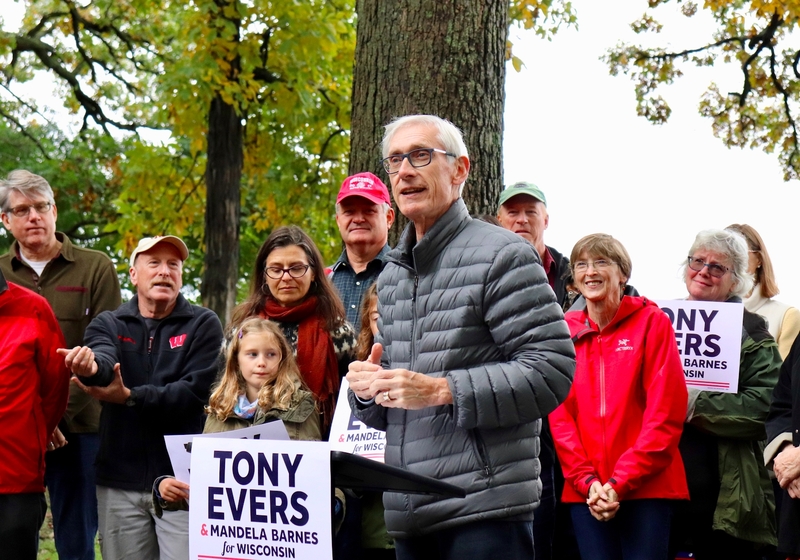 “Tony Evers has proven yet again that he will ignore the needs of hard-working families across Wisconsin in favor of rewarding Madison and Milwaukee insiders,” said Republican Party of Wisconsin Executive Director Mark Morgan. That’s advice Evers won’t take.